MG Chemicals has developed a unique flux system designed specifically for high temperature lead free alloys. It provides the fluxing activity levels that promote thermal stability and prevents thermal degradation when reflowing under air atmosphere (normal). 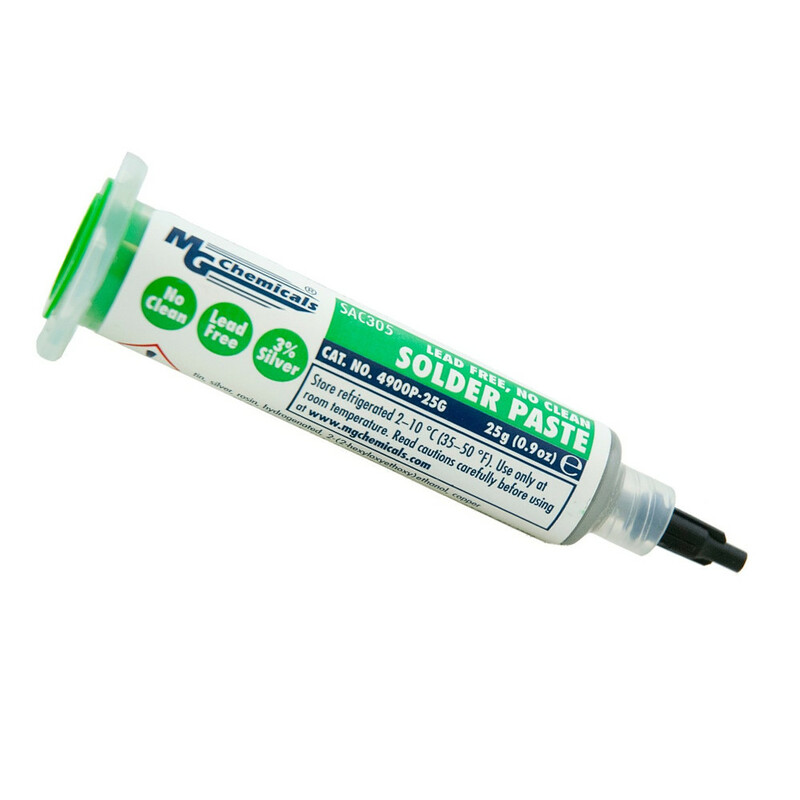 Since use of nitrogen is not required, MG 4900P Lead Free Solder paste will provide excellent cost savings. In addition, MG 4900P Lead Free solder paste exhibits superior joint strength, excellent wettability, and extraordinary print definition and tack life. The post soldering residues of MG 4900P are non-conductive, non-corrosive and highly insulated.